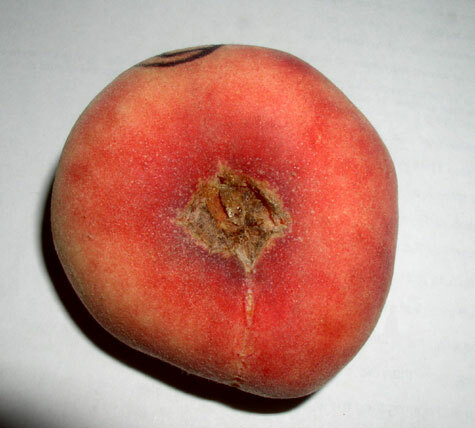 How many times have you received donut peaches but wondered what are the guidelines for defects and for tolerances? Believe it or not, you would use the same U.S. Grade Standard when inspecting donut peaches as you would for regular peaches. Of course there are exceptions to every rule and this is no exception. The minumum shape requirement for a U.S. No. 1 Peach is the peach must be well formed. Looking at the visual aid below you have to wonder how these donut peaches can ever be called well formed. The peaches shown below all meet the requiremenst for shape, for the U.S. Fancy Grade as well. 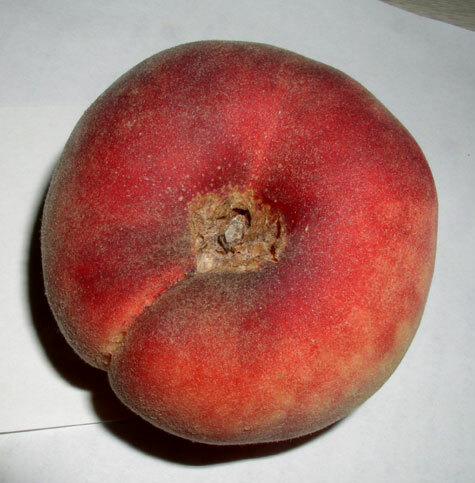 Using common sense, the shape would have to badly deformed to be called a defect, for a donut peach. Odd shapes are not the only problems found with donut peaches. Decay is sometimes found as well as bruising. 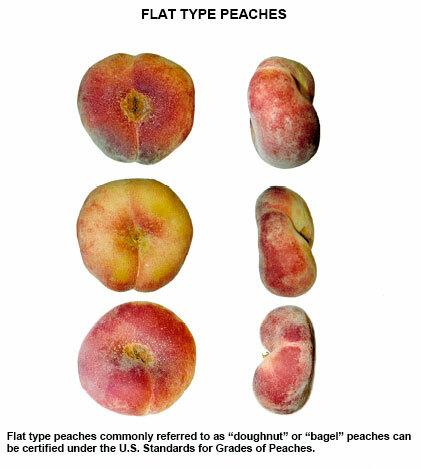 The amount or size of decay found on a donut peach is the same as a regular peach……None. Any spot of decay, no matter how small, is considered being decay. Bruising involves a little more thought. 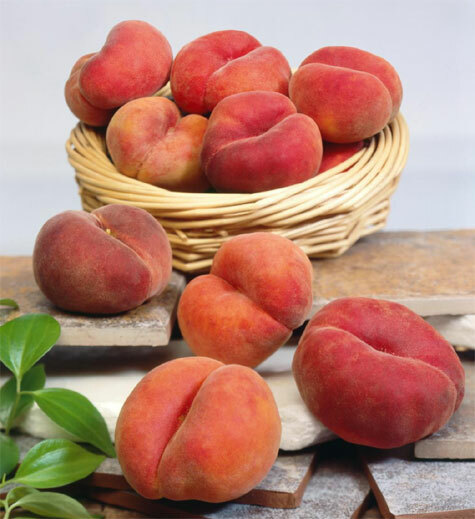 On a regular peach, 2-1/4 inches in diameter, you are allowed bruising up to 1/2 inch in diameter; allowing for a larger area on a larger peach and smaller area on a smaller peach. This same guideline applies to a donut peach. 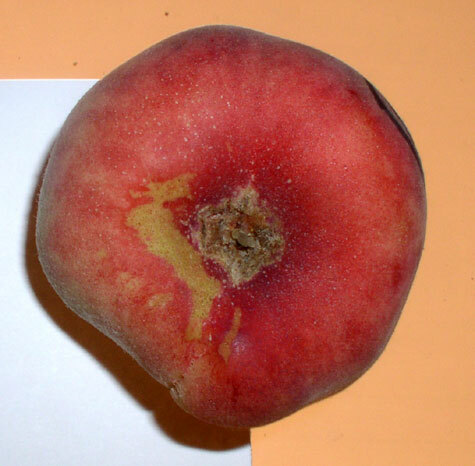 Another common defect found in donut peaches is scarring affecting the blossom end. The pictures below depict this defect in various degrees. The USDA has no straight forward scoring guidelines for this defect. 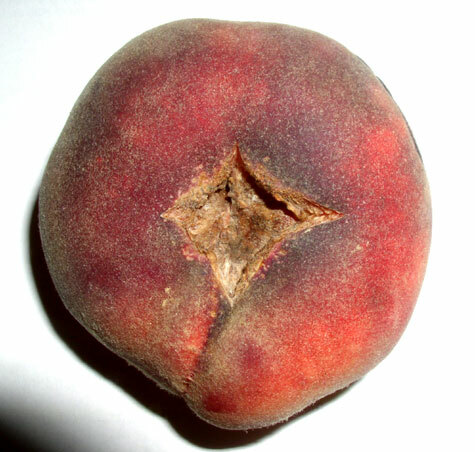 Some will say this is characteristic of donut peaches. Others will say this defect is found more prevalent during certain growing conditions. Other say it does not matter what caused the scarring, it still detracts from the appearance and shoud be scored as a defect. From my experience I would say all 4 of the peaches are defects of the U.S. Fancy and U.S. No. 1 Grades. These would all be scored as damage. I would also score peach 1, 2 and 3 as serious damage.If anyone has a different opinion please share your comments. new and improved potato standard.